Get an ethnic touch to your wardrobe with this purple patiala suit beautifully enhanced with embroidery & contrast lace work. 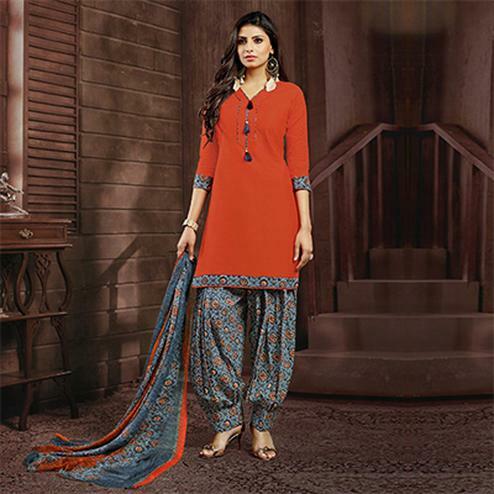 The outfit consists of chanderi & jacquard top printed cotton bottom & chiffon printed dupatta. Ideal for social functions & casual outing.